Why You Should Remove Your Makeup Before Bed.. This is a sponsored post you guys, but all my opinions are obviously my own! So anyways, hello, hello my beautiful friends! It’s no secret that you should ALWAYS remove your makeup before bed… But do you know why? Or are you just doing it because “It’s what you’re supposed to do”? I just recently started making it an actual habit and I can’t believe it took me this long! The amount of damage leaving your makeup on can cause is INSANE and I’m seriously regretting all those nights now!!! My mom used to always tell me to remove my makeup before bed .. And did I listen?! Nope! That was always one of her biggest pieces of advice. That and don’t ever go to the grocery store hungry;) But the proof is in the pudding.. She is 46, going on 30. No joke! She looks SO young! And what’s a big contributor to her youthful skin? .. YOU GUESSED IT! Washing off her makeup every. single. night. I’m not even kidding you guys, two DIFFERENT girls that I went to ELEMENTARY school with just commented on one of my Instagram stories of my mom, saying she still looks EXACTLY the same!.. And if you’re trying to do the math right now, let me help you out. That was over 15+ years ago! If that’s not the best compliment ever, I don’t know what is! But it gets better. Anytime we go anywhere, people don’t believe me when I call her “mom”. They say if anything we have to be sisters. Soooo what is the moral of the story? Remove your makeup before bed!! Because if you don’t… not only will it cause signs of some aging, it can also clog your pores, give you chapped lips, cause breakouts, leave you with rough skin, and the list goes on!! I don’t know about you, but I ain’t got time for any of that! So even on my laziest days, I’ve made it my top priority to wash off my makeup before bed now. And what’s the easiest way to do so you ask?! A good, soft, moist FACE WIPE! Those bad boys are seriously a girls best friend! My mom has always had the Neutrogena™ Makeup Remover Cleansing Towelettes stocked in her bathroom, so I thought I’d adopt her method! Not only are they quick and easy to use, they take off alllllll of my eyeshadow with just one towelette! And best of all?! You don’t need to rinse after using it! Have you ever used a face wipe that stung your face and you needed to rinse immediately after? Ouch!! I know I have! But this is NOT the case with the Neutrogena™ Makeup Remover Cleansing Towelettes! They always leave me with a refreshing clean feel! So if you learn anything from me today, please please please make sure to wash off your makeup at night! 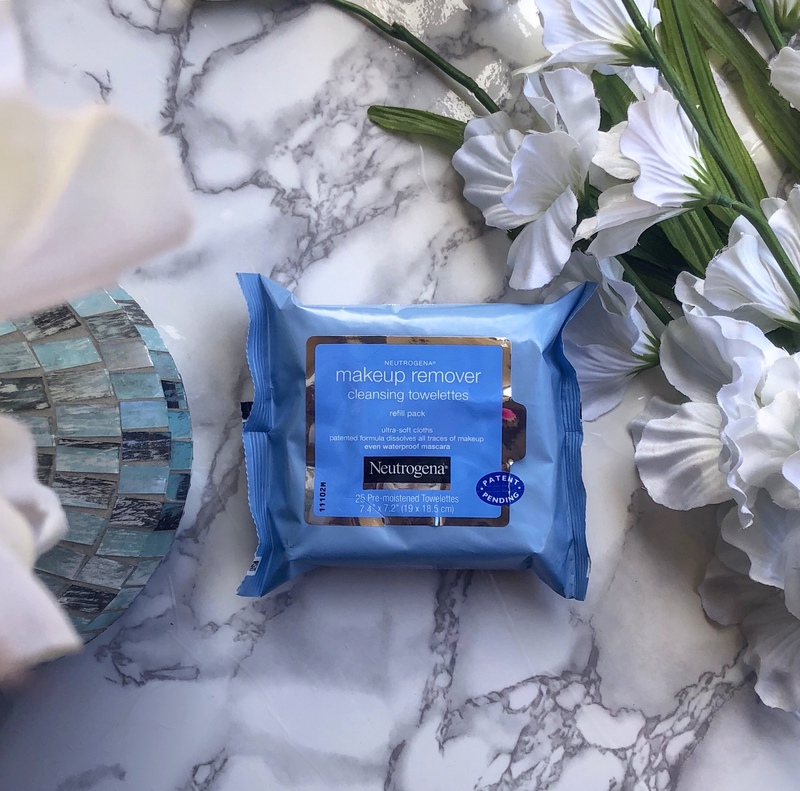 And for the best method out there, try the Neutrogena™ Makeup Remover Cleansing Towelettes from Walmart! You can find them in the beauty section with all the other skincare products! & with Spring quickly approaching, don’t forget to check out the latest Spring trends! Next Post The Best On-Demand Services That Make Life Easier! 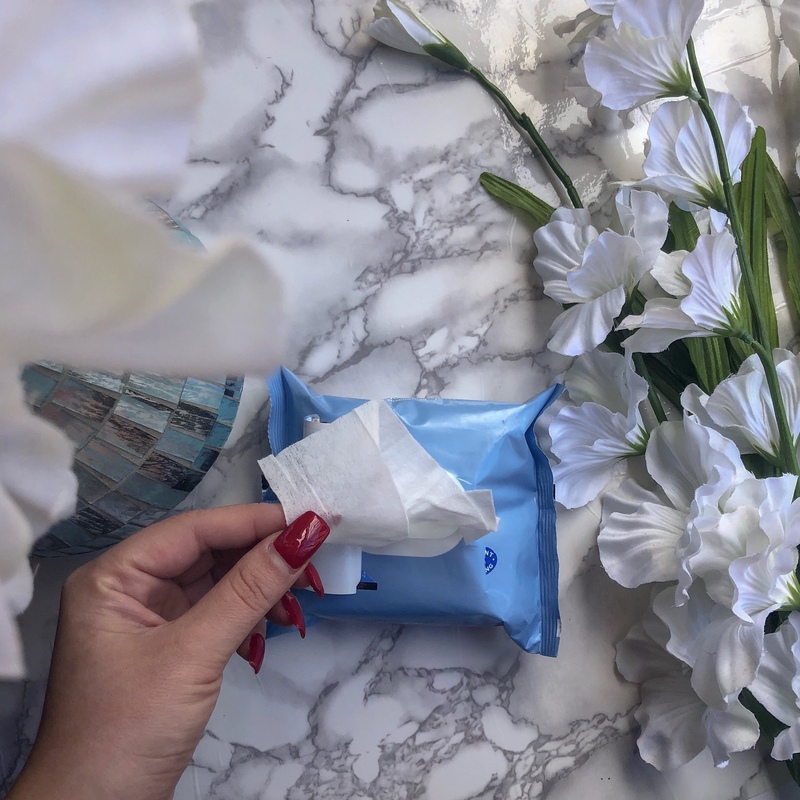 have you come across any all natural makeup towelettes that work just as good? I’m trying to switch everything over. Thanks in advance! Whenever I was in college I was so bad at taking off my makeup before bed, but I have gotten so much better in my late 20s and now my 30s. I have acne-prone skin and whenever I wouldn’t take my makeup off I’d wake up with a million spots. ugh I’m right there with ya!! it’s crazy what not taking your makeup off can do to the skin! I ALWAYS remove makeup before apart from last night! eeeek! I was soo tired I couldn’t even think about doing anything – just sleep. But never again haha! Great minds sure do think alike!! 🙂 Thanks for reading Valeria!! I’m such a stickler for my night time grooming routine too! Your mom was right! That’s right!! Such a good routine to have!! omg yes!!! the fresh face feeling is the best!! OMG YES! You always gotta take off your makeup before bed. Its funny I’ve been seeing these makeup wipes everywhere and have been meaning to try them! Thanks for sharing this review <3 Going to grab a package of it and try it out. Omg they are soo good! Super moist and doesn’t scratch your face like others do!